This Peanut Shell Cotton Fitted Crib Sheet is a stylish addition to your baby's nursery. 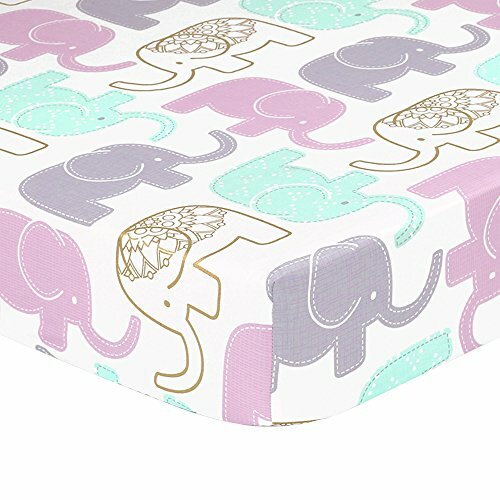 It's made of soft 100% cotton sateen fabric and features a unique and colorful collection of elephants in mint green, metallic gold, lilac purple, and grey. Complete the dressing of your crib with coordinating quilts, dust ruffles and bumpers from The Peanut Shell along with a host of other nursery decorating accessories.